There is an easier and less painful way to transform yourself into a zombie that does not involve the risk of being devoured. 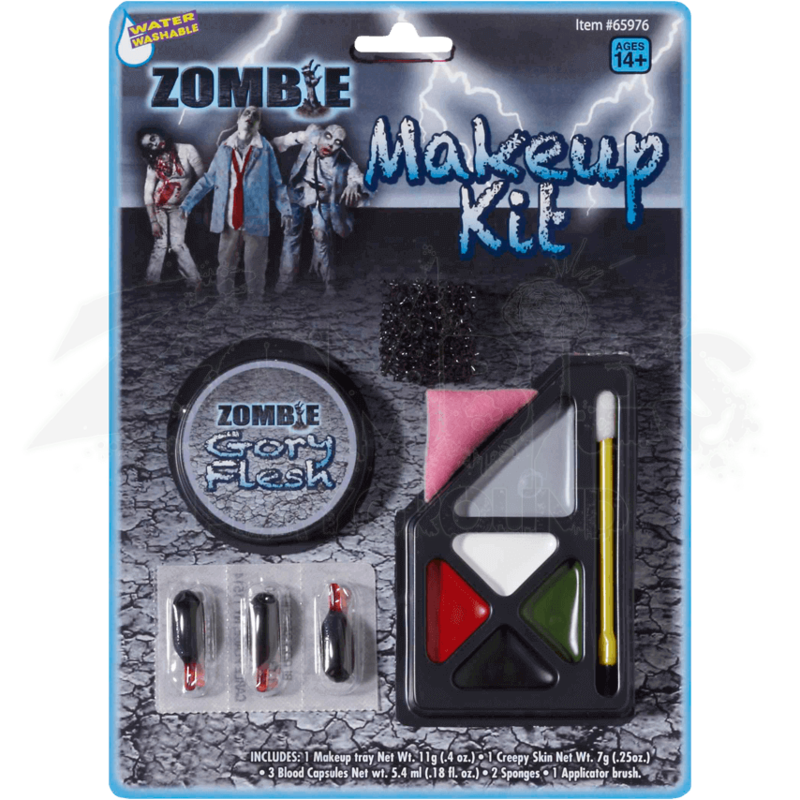 Using this Zombie Make-Up Kit, you will have everything you need to transform yourself into a zombie. 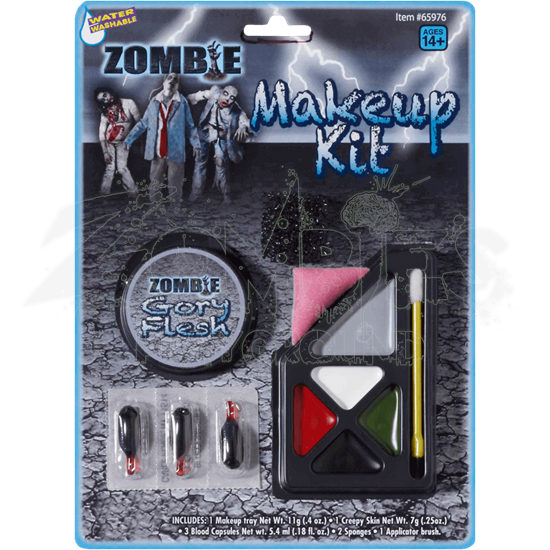 This impressive and all-encompassing kit includes a make-up tray that includes gray, green, white, black, and red make-up for creating not only your zombie complexion but also for colorizing your scratches and wounds. Also included is a container of Gory Zombie Flesh, which will allow you to create realistic looking wounds that are perfect accent to any undeads appearance. Three blood capsules provide enough blood to add bloody stains and drips where needed. And of course, also included are two sponges and an applicator wand, so that all of the make-up can be carefully and precisely applied. Much of this zombie make-up is water soluble, which means that it is easy to put on and easy to remove. All you have to do is wash with warm, soapy water. With the Zombie Make-up Kit, the hardest part of creating a zombie is made that much easier for you by putting all the tools you will need for a great, handmade zombie look right at your fingertips.